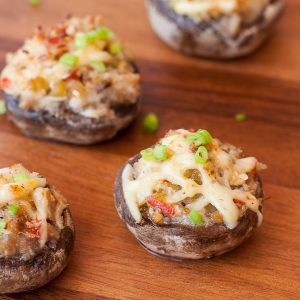 These seafood stuffed mushrooms with garlic and gouda are the best! We're loving this easy cheesy, flavorful appetizer for holiday parties and potlucks! Betcha can't eat just one! Grab a fork and attack!